Philosophy of science, scientific logic, and scientific method have been honored in psychology far more than they have been applied. Most notably, failure to recognize structure of theory as being of as much importance as validity of content has delayed progress in building theory, and kept psychology a soft science. Psychoanalysis has, like all fields of psychology, remained a field of science pretending to be a religion. A given dogma, solemn ritual, and prescribed technique dominate thought and activity. Psychologists often work as technicians or priests artistically applying vast knowledge, rather than as professionals, who moment-by-moment devise technique derived from comprehension of principles of a complex theory. Our extensive theory of a whole mind, like all psychological theories, is hampered by inclusion of hypotheses accepted as proved fact, fantasy and fiction pretending to be tested theory, metaphor pretending to be actual mental process, and underlying theory regarded as fundamental theory. All of these have mistakenly been given equal credence in our descriptions and explanations of mind. We have been cowed by tendentious pseudo scientific studies in biopsychiatry, behavioral, and cognitive psychology. These operate with a reductionist partial theory, an atheoretic approach, and a half-mind approach respectively. We have been intimidated by managed care's marketplace clout, and too easily persuaded that reductionism, pragmatism, and eclecticism are scientifically valuable. We should not be moved away from logic of science. Making our theory scientific in structure as well as in validity of content yields great advantage. 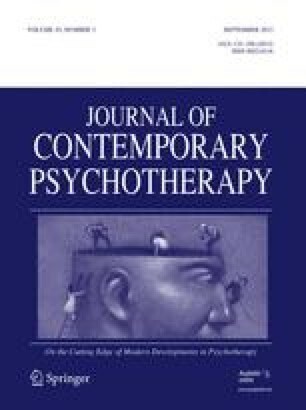 Descriptions of defects in psychosomatic and affect theories, how those came about, and some suggestions about advantages of new affect theory illustrate a path that will enhance the entire field of mental health, and be of benefit to the public. Deficiencies in behavioral, cognitive, and biopsychiatric approaches are also described in terms of both validity and structure.